COL President delivers opening statement and presents the results of the regional consultations. The 2nd World Open Educational Resources (OER) Congress opened in Ljubjana, Slovenia, on 18 September 2017. The Commonwealth of Learning’s President and CEO, Professor Asha Kanwar, addressed the Congress in conjunction with H.E. Dr Milan Brglez, President of the National Assembly of the Republic of Slovenia, Mr Getachew Engida, Deputy Director General, UNESCO, Mr Tibor Navracsics, European Commissioner for Education, Culture, Youth and Sport, and Ms Irina Bokova, Director General, UNESCO. COL organised six Regional Consultations on OER around the world in the lead up to the Congress. Professor Kanwar presented the results from the consultations as well as two surveys, a government survey and a stakeholder survey, completed within the framework of the 2nd World OER Congress. The results of the consultations and surveys are now available in Open Educational Resources: Global Report 2017, along with an accompanying report, Open Educational Resources: From Commitment to Action, detailing a series of concrete actions that OER stakeholders must take in order to mainstream OER. The 2nd World OER Congress continues until 20 September and includes a Virtual OER Congress, which can be accessed at http://www.oercongress.org/vico/. 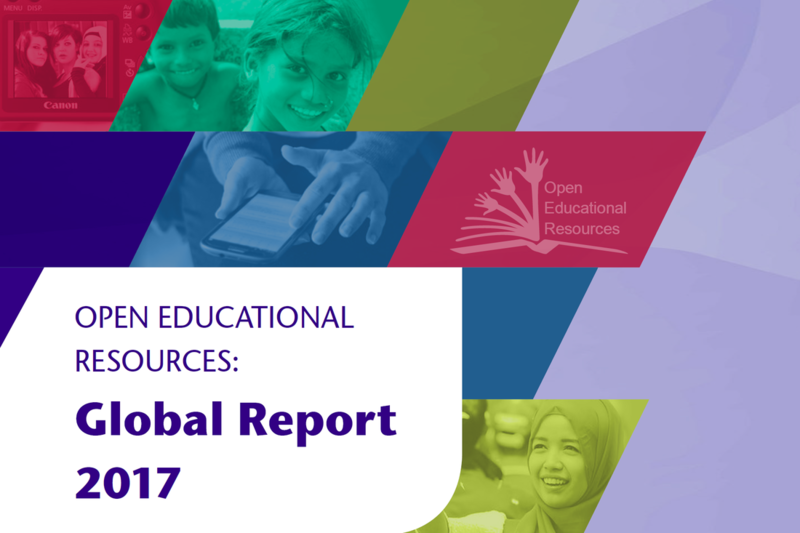 The Commonwealth of Learning’s (COL) newest publication Open Educational Resources: Global Report 2017 is a review of the status of open educational resources (OER) worldwide. The report, which will be officially launched at the 2nd World OER Congress on 18 September 2017, is the result of two global surveys and six regional consultations, organised by COL in collaboration with UNESCO and the Government of Slovenia and with support from the Hewlett Foundation, in preparation for the 2nd World OER Congress. Open Educational Resources: Global Report 2017 presents the findings of the two surveys and analyses the discussions in the regional consultations to provide an overview of the status of OER within the framework of the 2012 Paris OER Declaration, which resulted from the first World OER Congress. “The report is a rich source of information that will help shape our strategies and approaches to mainstreaming OER in the future. There has been growing interest in OER since the 2012 Paris OER Declaration. 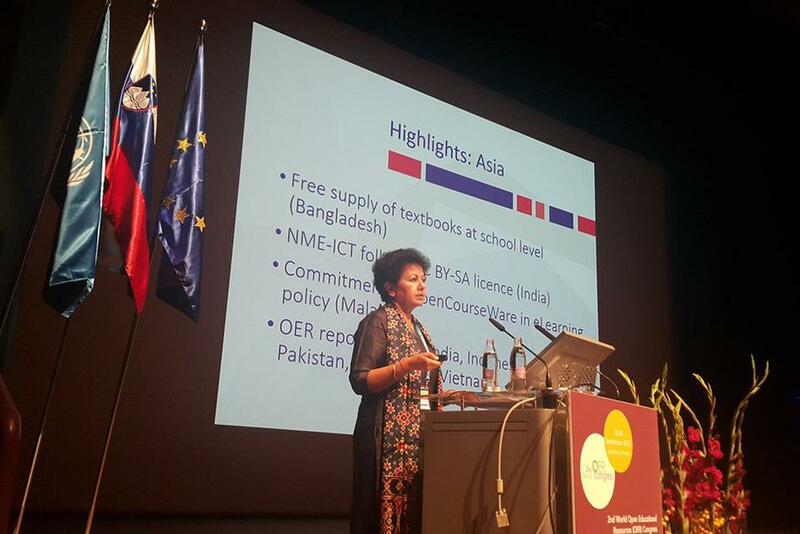 Many more countries are now considering the development and adoption of OER policies,” said Professor Asha Kanwar, President and CEO of COL. 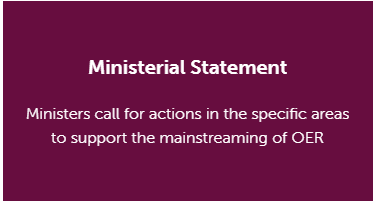 The report is accompanied by the publication Open Educational Resources: From Commitment to Action, which presents a series of concrete actions that OER stakeholders must take in order to mainstream OER, as identified by consultation participants. Participants at the 2nd World OER Congress will consider these two reports along with UNESCO’s draft for the Ljubljana OER Action Plan in their discussions. These three documents are complementary and provide a framework for both understanding the current status of OER worldwide and identifying concrete actions to mainstream OER to achieve SDG4. “This important work is one more step in global efforts to promote OER for inclusive and equitable education and lifelong learning for all by 2030,” said Professor Kanwar. Download Open Educational Resources: Global Report 2017 and Open Educational Resources: From Commitment to Action from COL's open access repository at oasis.col.org.